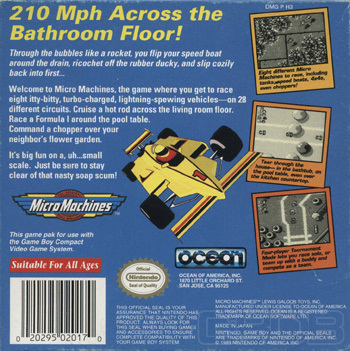 210 Mph Across the Bathroom Floor! 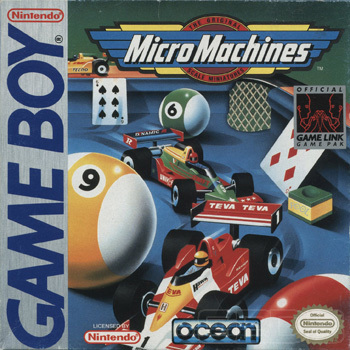 Welcome to Micro Machines, the game where you get to race eight itty-bitty, turbo-charged, lightning-spewing vehicles -- on 28 different circuits. Cruise a hot rod across the living room floor. Race a Formula 1 around the pool table. Command a chaopper over your neighbor's flower garden. It's big fun on a, uh...small scale. Just be sure to stay clear of that nasty soap scum!